We couldn’t pass up one more chance to share a little D.I.Y. fun with y’all this year! 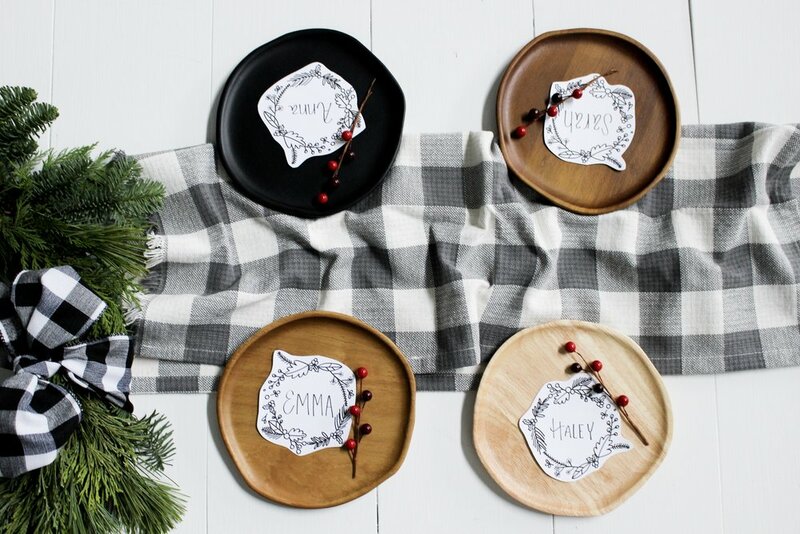 The holiday season can feel very full and busy- so this printable is great for you busy bees needing an extra hand with adding a little holiday fun to your dinner table and gifts! 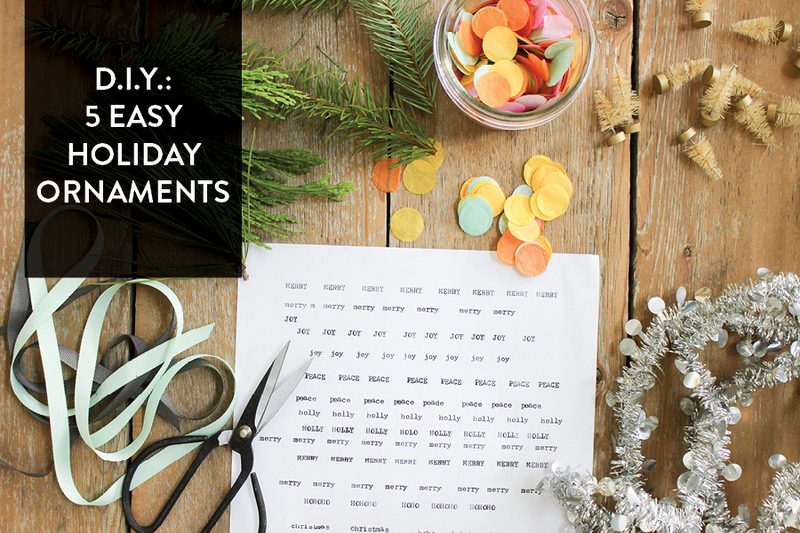 All you need is access to a printer and a little bit of creativity to add a hand made touch to his holiday season! 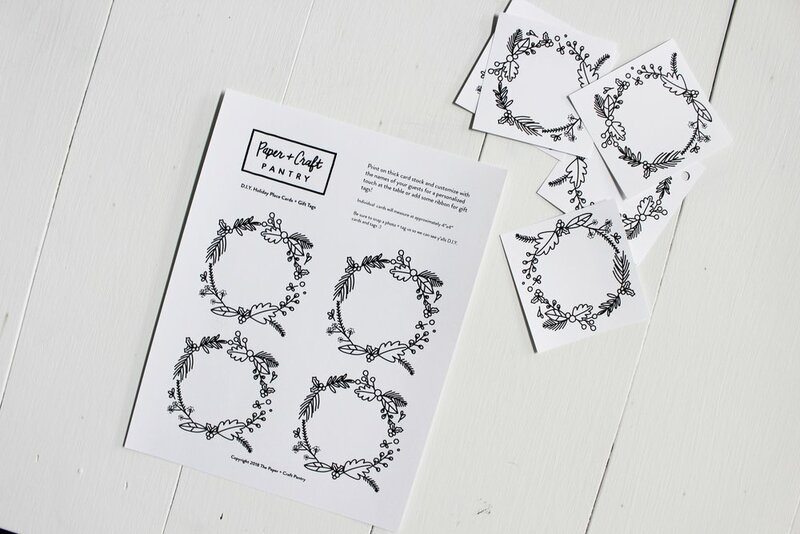 Each printable comes formatted with four wreaths that you can turn into either gift tags or place cards! We chose to cut our tags out into squares so there would be room for the hole punch and cut closer around the wreath for our place cards. Personalize each wreath with your friends and family’s names, et voila! 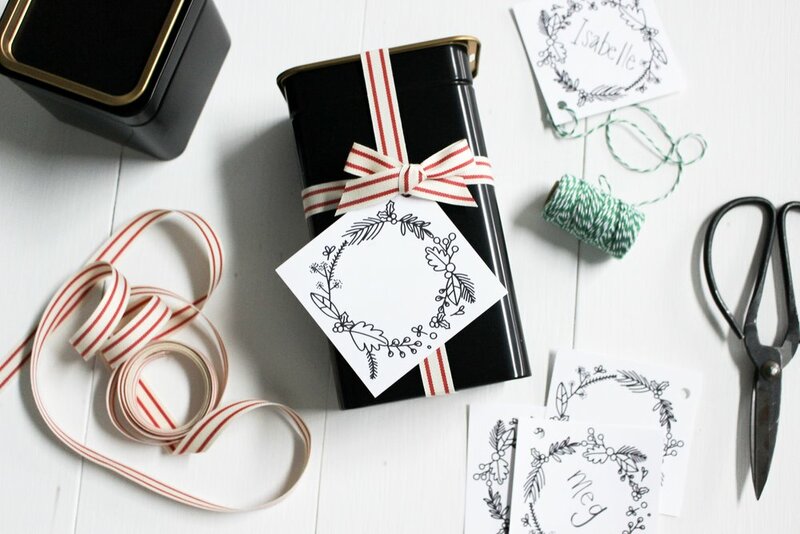 You now have a special handmade touch to your holiday party and under your Christmas tree! Scroll to the bottom of this post to print your own! We hope you have a lovely and magical holiday! 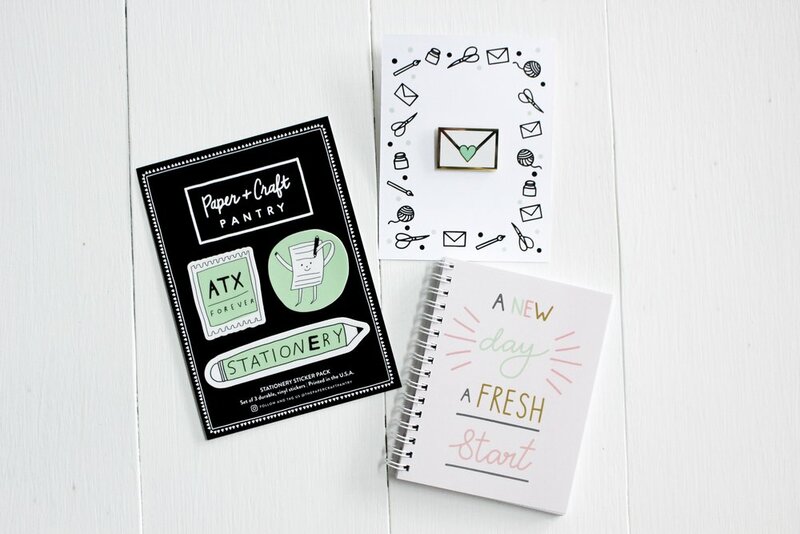 Our very own in-house stationery line here at The Paper + Craft Pantry! From the day we opened up our doors, it’s been a dream of mine to be able to get back to designing and creating paper goods. Fast forward through the past few years of learning the ropes of running a physical shop, hosting hundreds of workshops and events (which honestly feels like it’s own separate job!) there have been a ton of reasons as well as excuses why I’ve put it off. I’d been dreaming up the products and designs for several months but finally decided to just go for it one day in October. I know, what you’re thinking, you whipped all of this up over night? Kinda. But really I think it flowed naturally since it had been something on my mind for literal years! 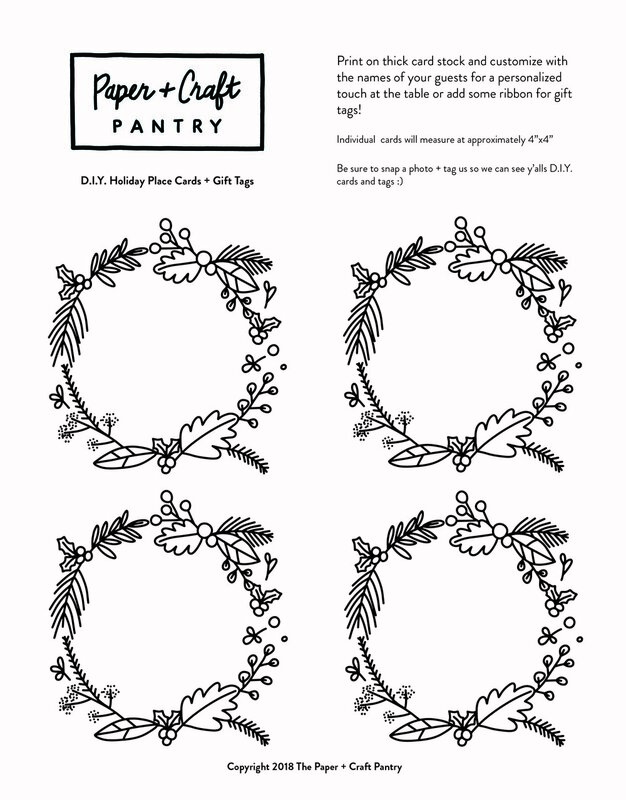 It also helped a ton that before I started The Paper + Craft Pantry, I had my own small stationery line soI already had a lot of the resources and was able to navigate through design + production and packaging fairly seamlessly. Let’s also take a moment to think about how October was truly a horrible time to start all of this (insert face palm here) It’s right before the holiday season, with two big weekends of the East Austin studio tour in November, the Thanksgiving break and holidays…. but then again, no one said opportunity and going for your goals happen when it’s convenient right? We officially launched our entire new line to the world on November 24th at our Small Business Saturday Market. I’m in the process of slowly uploading all our goods to our online shop so everyone can get their hands on a little bit of this shop’s heart and soul. p.s. Now that we are in December and everyone is out shopping for gifts, I’d love to encourage y’all to shop small this holiday season. No matter where you are, no matter your budget, I know that I (in addition to other small business owners) would love if you’re able to find that special something with us. Shopping small makes a huge difference, directly in YOUR community. In YOUR town. In YOUR city! If you ever need a recommendation for a local business, you know where to find us- we’re so happy to point you in the right direction! Without further ado- I’ve rounded up a few of my favorite things from our new collection below- let me know what you think? (From left to right) How cute are our stickers? You know how passionate I am about properly spelling stationery :) And also, there’s an actual paper person! I was so excited to partner with Jess, owner of Tiny Deer Studio, for our extra large enamel pin. Our little spiral may be my favorite thing because of it’s convenient size, but also, the inside pages are BOTH lined and graphed! (From left to right) We partnered with one of our favorite local candle makers to create a custom candle scent for the shop! I told Priscilla, with Herland Home, that I wanted a candle that smelled like writing a letter at a vintage secretary desk. And she delivered- because she’s magic! That little dropper bottle is filled with the scent we diffuse in our shop, it’s kind of become our signature scent that everyone swoons over when they come in our doors. Check out more of our product line online! Whether you are ready for it or not, the holidays are officially here! We’re in full swing holiday mode over here in the shop as we prepare to close out 2018 and we’re also already planning for the first quarter of 2019. We’ve got all of our holiday stationery and goodies out in the shop, holiday music streaming through our speakers, and just a few Christmas themed workshops left on our calendar. We also couldn’t pass up sharing a quick and simple D.I.Y. themed craft with y’all. This D.I.Y. takes less than 5 mins- which let’s be honest, anything longer is too long during the holiday season! Y’all, seriously, this is such a fun and easy way to decorate this holiday season. You can get super creative with personalizing the ornaments for your tree or as gifts. 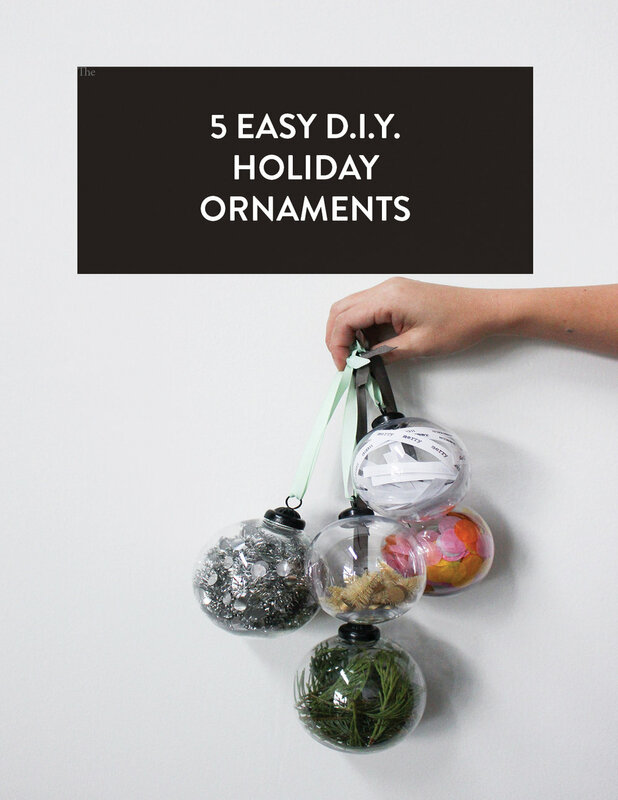 We just rounded up a few of our favorite things to add as fillers into clear ornament globes. We added some holiday inspired type that we cut into strips to fill an ornament, stuffed extra holiday foliage clippings into another, added tinsel garland, confetti and mini holiday trees to the others! categories Do It Yourself, D.I.Y. 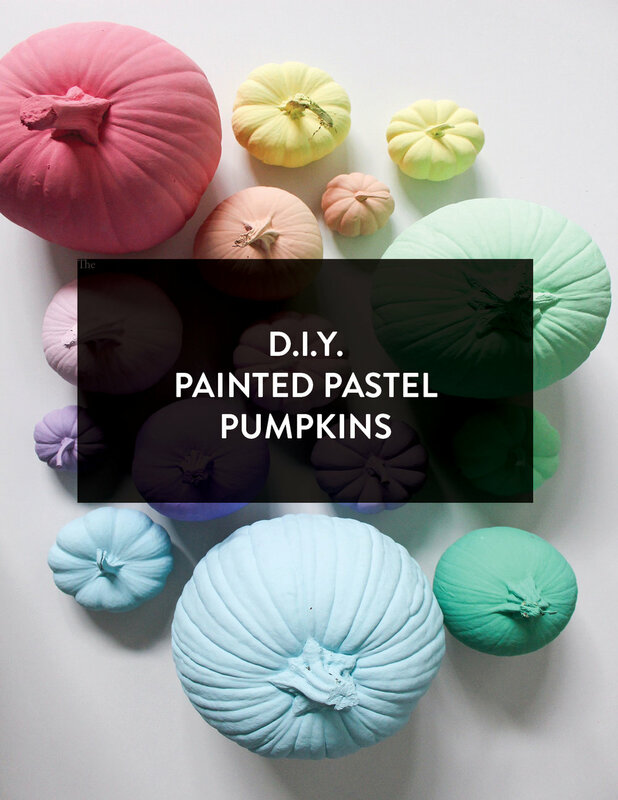 We wanted to continue the Fall celebrations with this very simple Painted Pumpkin D.I.Y. These were such a quick and easy way to add some fun color to the studio and we’re certain it will do the same in your home! To start this easy D.I.Y. 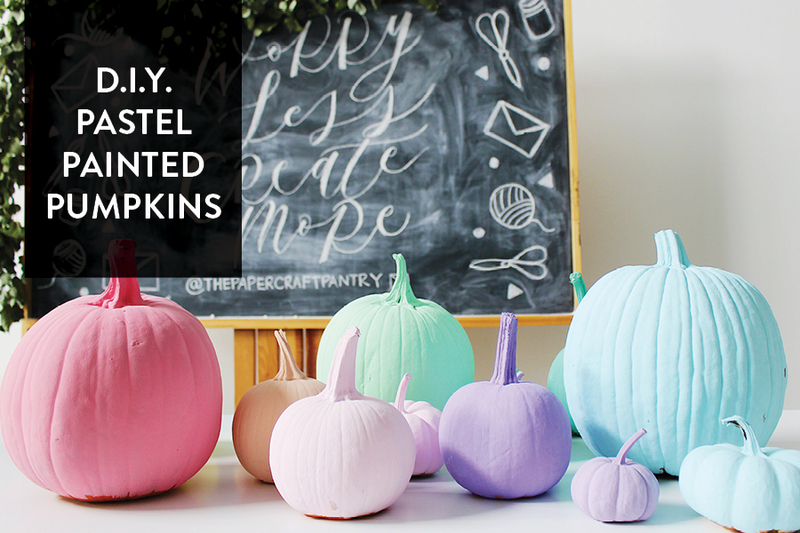 project, it’s all about deciding the amount and color palette of your pumpkins. We hosted a “Fall Festival Market” during this past October at the shop and wanted a bright and playful pastel rainbow ombre look in lieu of the more traditional and warmer autumn colors. The finished product made for the perfect piece for our front door to welcome guests in to our event and now, these pumpkins have a home in front of our beloved card wall! The only thing is you need to have patience. Because of the texture and slickness of the pumpkin it takes several layers of paint and time to let each one dry. And afterward it’s still incredibly easy to scratch off that paint so be careful when moving them and keep some extra paint on hand for little touch ups! 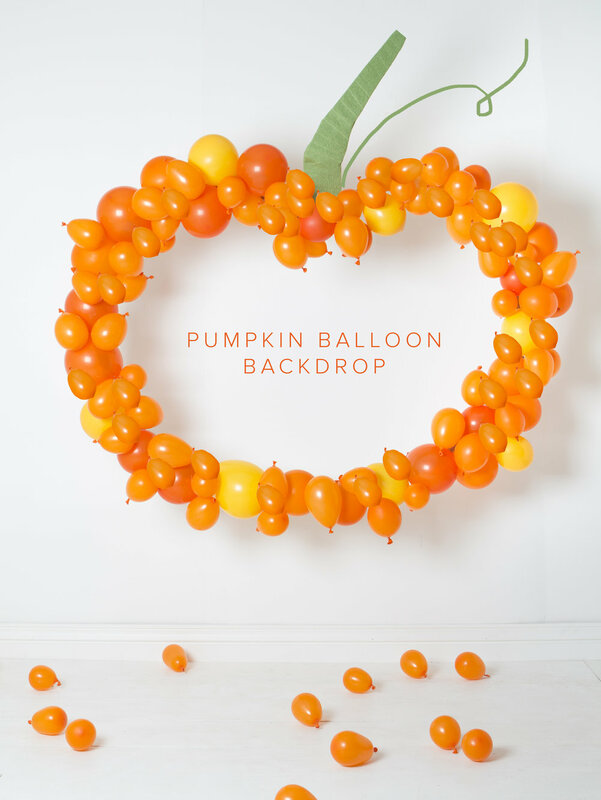 We learned after doing this D.I.Y that we would likely redo this but using faux pumpkins from the craft stores. That way, you can keep and enjoy them for many many years! Do you have an alternative fall color palette you are loving? Let us know in the comments below!